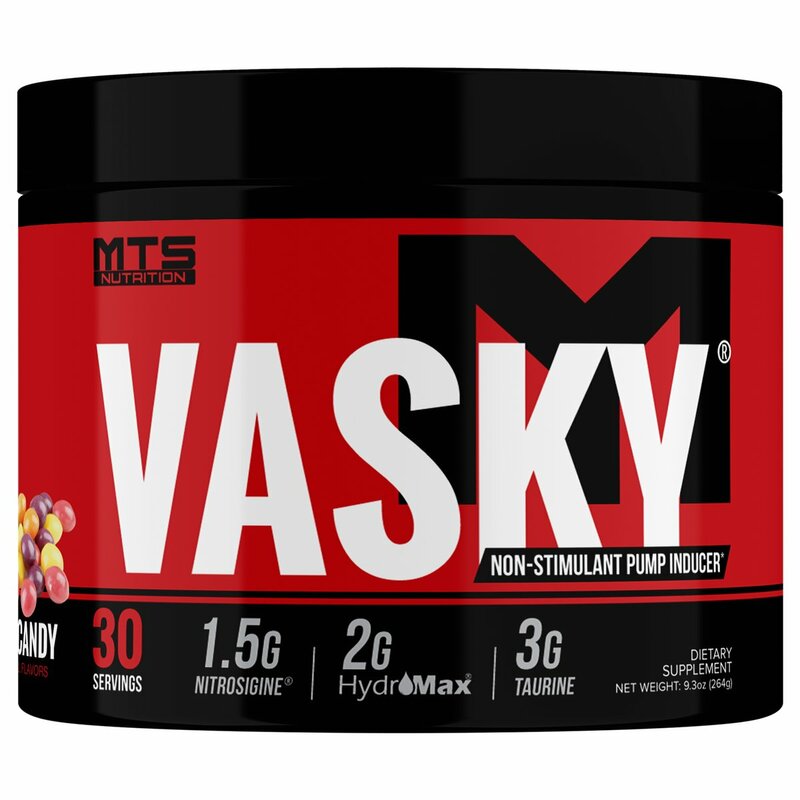 MTS Nutrition VASKY is the SCIENTIFICALLY-DOSED leader in non-stimulant pre-workout meant to be taken as a standalone or with your favorite stimulant based pre-workout such as MTS Nutrition Clash or Ruckus. VASKY contains Nitrosigine™ which enhances nitric oxide for an extended period of time, along with HydroMax Glycerol which promotes hyper-saturation of the muscles. With Taurine, added for its positive performance and volumizing effects, VASKY is guaranteed to help you achieve the greatest pumps and best workouts you’ve EVER had! Being pumped beyond your wildest dreams… That’s Not A Game!